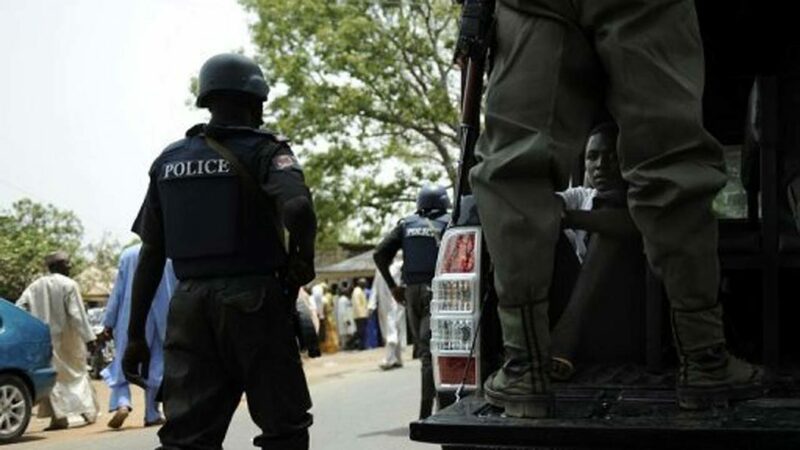 The Kaduna State Police Command has confirmed the kidnap of Mr. Maiwada Galadima, a chieftain of Agom Adara of Kachia and his wife, Mrs. Victoria by unknown gunmen along Kaduna -Kachia Road this Friday. The command also said a police officer and three others other persons were killed by the assailants.In a statement by the Command’s PRO, ASP Yakubu Sabo, he said: “Some armed men intercepted the convoy of His Royal Highness, the Agom Adara of Kachia, Mr. Maiwada Galadima at Maikyali village, along Kaduna -Kachia Road and opened fire on their vehicles. “In the process, police orderly and three others in the vehicles were shot dead and the bandits took away the royal father and his wife, Victoria to an unknown destination. “Team of policemen led by the DPO rushed to the scene and evacuated the victims to Kachia General Hospital. “The Commissioner of Police Kaduna State Command CP Ahmad AbdurRahman has commiserated with the families of the deceased and vowed to bring justice to the slain victims of the crime,” the statement concluded. Meanwhile, Kaduna State Governor, Mallam Nasir El-Rufai yesterday visited Kasuwan Magani community in Kajuru Local Council following the bloody crisis that occurred in the town on Thursday. Casualty figures rose to 55 deaths at the weekend, while several others were hospitalised. Meanwhile, President Muhammadu Buhari, has condemned the communal violence.Reacting to the violent clashes, President Buhari in a statement signed by his Senior Special Assistant on Media and Publicity, Garba Shehu, yesterday said the frequent resort to bloodshed by Nigerians over misunderstandings that can be resolved peacefully, is worrisome. All Progressives Congress (APC) national stalwart, Asiwaju Bola Tinubu, has strongly condemned the fresh communal crisis at Kasuwan Magani in Kajuru Local Government Area of Kaduna State in which 55 people reportedly died. Asiwaju Tinubu said in a statement in by his Media Office and signed by Mr. Tunde Rahman that it was essential for people of various religious groups and persuasions to accommodate one another and live in peace and harmony.Twenty-two suspects were arrested and quizzed by the police in the wake of the crisis sparked on Thursday by restive youths in Kajuru Local Government Area of the state. The APC leader admonished traditional, religious and youth leaders to embrace peace and put an end to the mayhem and bloodshed, which first reared its ugly head in the area in February this year claiming 10 persons.He particularly urged the Christian Association of Nigeria (CAN) and Jama’atu Nasril Islam (JNI) in Kaduna State and in the troubled area to inculcate in their members and youths generally the importance of peaceful co-existence and the sanctity of human life, saying without peace and tranquility, a society cannot make any meaningful progress.